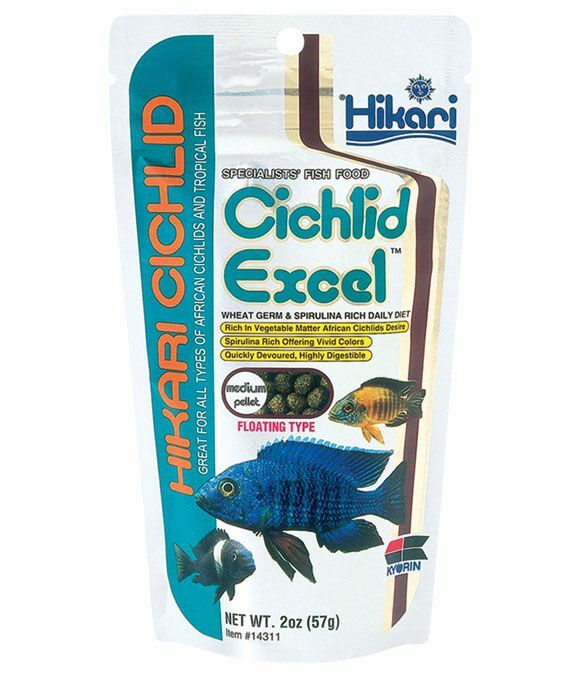 The Cichlid Excel fish food from Hikari has been formulated to meet the nutritional needs of herbivore Cichlids and larger tropical fish. It contains linoleic acid which promotes healthy organs and improved reproduction abilities. Spirulina is added to promote vibrant colouring and wheatgerm for long term health. There are currently no questions for Hikari Cichlid Excel Aquarium Food - be the first to ask one!